This 12x12 double sided paper has a "Lacquered Finish" on both sides giving it a very vibrant look. 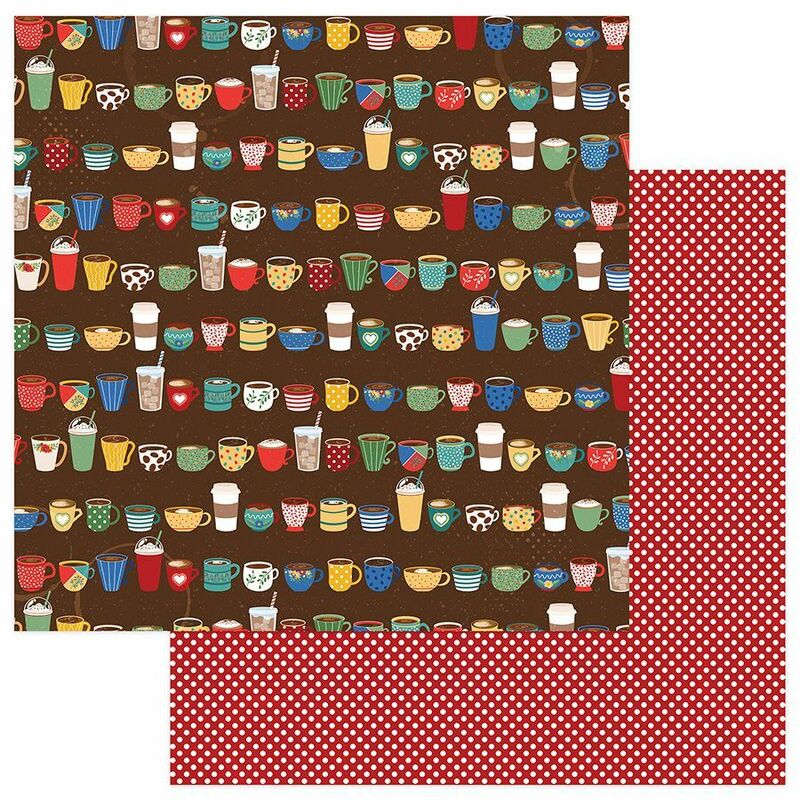 On the frontside you'll find some Colorful Coffee Cups & Mugs while the reverse side has a Dot Pattern. Party of the The Daily Grind Collection by PhotoPlay Paper. Look for coordinating Designer Papers.